A Biogen Pharmaceuticals drug to cure Alzheimer’s disease, just recently considered to be the savior for Alzheimer’s patients and their families, has been declared a failure. Amid great disappointment, the race to find a drug that will cure or halt the progression of Alzheimer’s now starts up again. 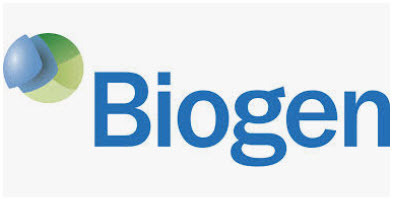 Last Thursday, Biogen and its Japanese partner Eisai, the pharmaceutical makers of the anti-amyloid drug aducanumab, suddenly ended two phase 3 clinical trials. These trials were conducted on Alzheimer’s patients with mild cognitive impairment and mild Alzheimer’s disease dementia. Biogen and Eisai made the decision to stop testing after an independent data-monitoring committee reported that aducanumab showed no sign of effectiveness. Stage 3 and Stage 4 drug trials administered by the FDA have strict requirements. The tested drug must show positive results on several metrics. While Aducanumab did well in Stage 1 and Stage 2 trials, it could not pass the stricter Stage 3 clinical trial. This bad news is another setback for the 6 million Americans who are currently diagnosed with Alzheimer’s disease. In 40 years of testing and up to this time, not one drug has passed FDA requirements. There is no drug on the market right now that effectively slows or can stop the progression of this disease. Current drug research is focusing on other brain regions and possible catalysts that may trigger this illness. According to some researchers, it is possible that beta-amyloid plaques are the end result and not the trigger that starts the disease.